Wes Anderson is one of my favourite directors of all time. From his beautiful cinematography, his incredible folky/early-rock soundtracks, his deeply developed characters exploring our many personal flaws, to his use of brilliant actors outside of their typical roles, many of whom are seen frequently in his work, his work is always sublime. Here’s my rankings of all of his films. Based on Roald Dahl’s children’s novel, an urban fox cannot resist returning to his farm raiding ways, but must help his community survive when the farmers’ are forced to retaliate. I didn’t think Wes Anderson’s style of film-making would work as well with this stop-motion animation, but how wrong I was as this is now on par as my favourite of his films. With a brilliant voice cast, including many of Anderson’s regulars, this really is a fantastic film. The dialogue is comical, the characters are individually brilliant, the soundtrack really compliments the film, and the animation itself is stunning, too. Most of all, Anderson pays such close attention to detail that he has created a film with very little flaws, if any at all. An estranged family of former child prodigies reunites when one of their members announces that he has a terminal illness. There’s just something about Wes Anderson films that will fill you with joy, and that undeniably shines through at its best with this film. Yet again with a brilliant, mainstream cast stepping out of their comfort zones into a not-so-mainstream film, Anderson is able to create such magnificent characters. With more brilliant cinematic sequences and a soundtrack that fits the film to a key, this is another of Anderson’s best. A pair of young lovers flee their New England town, causing a local search party to fan out and find them. A wonderful Wes Anderson classic, and my favourite of his works. It’s quirky, has stunning cinematography, and it is, as always, very well scripted. Yes, it’s set around another detached reality that is sometimes Anderson’s biggest downfall in his films, but the innocent structure works at its best here with the boy scout premise. And let’s not forget the cast, one of the most stand out qualities of Anderson’s films, which this time includes a number of brilliant additions to Anderson’s originals, including Bruce Willis, Edward Norton, and Tilda Swinton, but it is the young stars that lead the film who deserve the credit here. Everything about it is just charming. 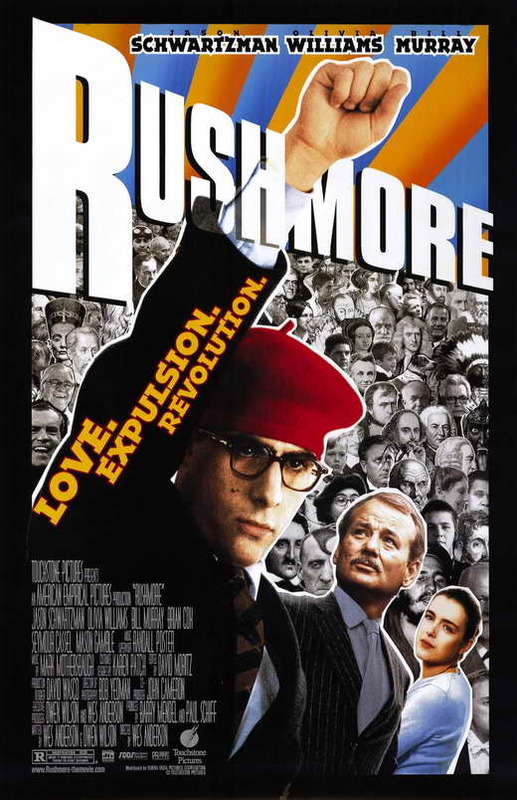 This was the first Wes Anderson film that I watched and, because of that, I was left not knowing what to think at the time. Having seen more Anderson films since, I appreciate this film a lot more, especially the quality cinematography that you’ve got to love about his work. But I don’t think it’s up there with some of his other work. I love his use of incredible character developments, but I only found this film quite average in that sense. 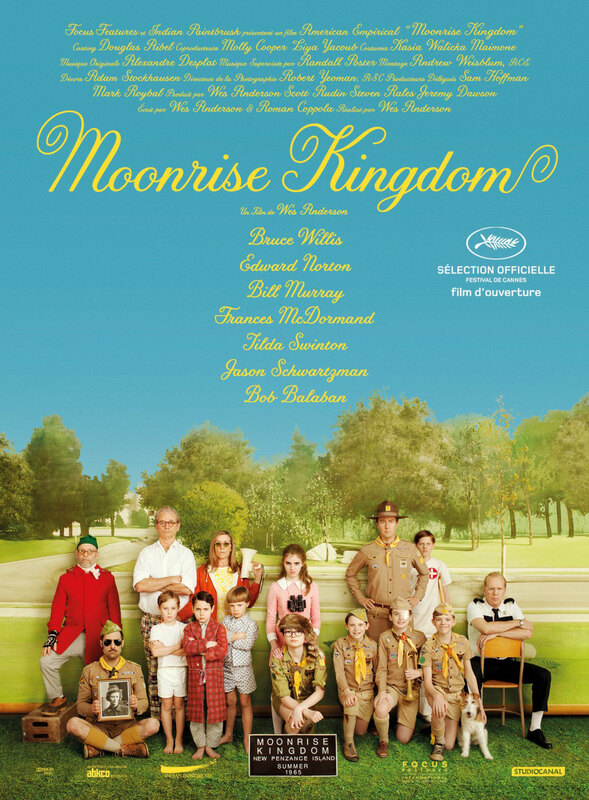 The cast is great, especially with the addition of Willem Defoe and Cate Blanchett to the Wes Anderson regulars, and I was thoroughly impressed by Owen Wilson, but whilst the film was enjoyable to watch, I wouldn’t recommend it as the first Wes Anderson film to watch. One year after their father’s funeral, three brothers travel across India by train in an attempt to bond with one another. I just love how Anderson explores relationships and the characters individually at the same time, and I think this film does this at its best. Owen Wilson, Adrien Brody and Jason Schwartzman have a brilliant chemistry as brothers and each gives superb performances. The Indian setting also suits Anderson’s style of filming really well, which makes me look forward to his upcoming film, The Grand Budapest Hotel, even more. Prequel to The Darjeeling Unlimited, this short prologue follows one heartbreaking history of love. This short captures Wes Anderson’s film style perfectly in only thirteen minutes. Jason Schwartzman and Natalie Portman are brilliant, and their dialogue and chemistry make an interesting bit of viewing. And then you get to see Portman’s bum, what’s not to like? I can’t help but place this at the bottom of the list. Sure it has everything that’s good about a Wes Anderson film, but I just didn’t engage with it as I have with his others. I’m finding it hard to see the film’s appeal, as it’s quirkiness is more on an unrelatable level, which, for me, is its biggest downfall. I’m not saying it’s a bad film, but this one wasn’t for me. A trio of friends put together an elaborate plan to pull off a simple robbery and go on the run. As Wes Anderson’s debut feature, Bottle Rocket shows the very early, rough-around-the-edges stages of Anderson’s quirky directorial qualities. It doesn’t have the same feel as his later work, although it does share many similar characteristics, but it is definitely one his funnier films. Owen and Luke Wilson are great together but, apart from the occasional few laughs, they give I didn’t enjoy much else. I have seen most of the films on the list, and you and I are right on in ranking. My first film was Moonrise Kingdom and I love it to bits..In ranking-wise,I kinda liked Bottle Rocket despite its dry moments. I’ve not seen Bottle Rocket (great name) or Rushmore, but I’ve counted myself a Wes Anderson fan since first seeing The Life Aquatic – which, incidentally, is my favourite. My order would go: Life Aquatic, Moonrise Kingdom, Fantastic Mr Fox, Royal Tenenbaums, Darjeeling – the others I’ve not seen. Hotel Chevalier is next for me. Also, saw Brothers Bloom recently. Not Anderson but really similar style from director Rian Johnson. The whole of Hotel Chevalier is embedded into the post as it’s only a short.